Terletak pada kedudukan yang baik di kawasan restoran, beli-belah, siar-siar di bandar Casablanca, Hotel Moroccan House menyediakan tempat yang paling sesuai untuk anda berehat seketika dari kesibukan hari anda. Dari sini, tetamu boleh menikmati akses mudah kepada semua yang bandar meriah ini boleh tawarkan. Bagi anda yang ingin pergi agak jauh, Kompleks Budaya Sidi Belyout, Pawagam Rialto, Pawagam Rialto merupakan beberapa daya tarikan untuk pelawat. Hotel Moroccan House menawarkan perkhidmatan yang sempurna dan semua kemudahan penting untuk menceriakan pelancong. Hotel ini menawarkan pelbagai kemudahan di lokasi untuk memuaskan hati tetamu termasuk yang arif. Suasana Hotel Moroccan House terpancar di dalam setiap bilik tetamu. pendingin hawa, pemanas, panggilan kejut, bar mini, beranda/teres hanyalah sebahagian daripada kemudahan yang boleh didapati di hotel tersebut. 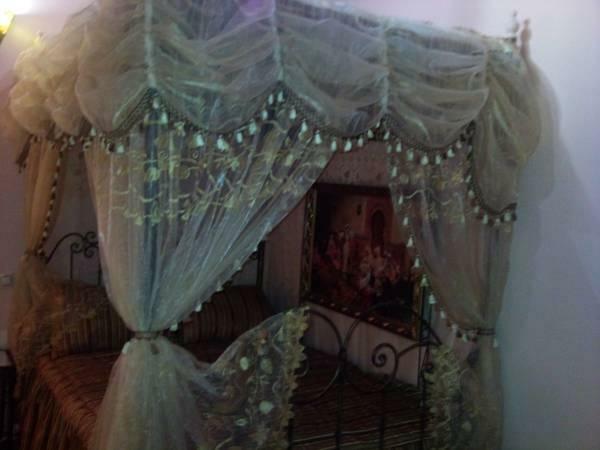 Kemudahan rekreasi hotel, yang termasuk seperti urut, bilik wap direka untuk anda melarikan diri dari masalah dan bersantai. Hotel Moroccan House merupakan tempat yang ideal bagi penginapan pelancong yang mencari keindahan, keselesaan dan kemudahan di Casablanca. towels and bathtub were gross. Bed linen was clean, one of the bell boys was extremely rude. I wouldn't necessarily recommend the stay. 3 min. walk to great grocery store, 15 min. 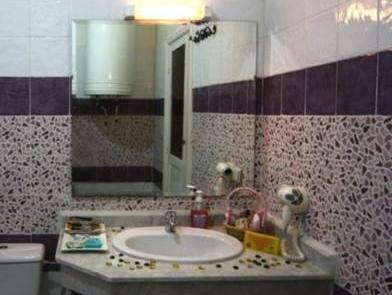 walk to the medina, close to restaurants, banks and the train station. Friendly staff. Bed bugs. Don't go there. Excellent last night in Morroco place to stay. Casa Port train station to airport a 5 minute walk. Liquor store, cafes in neighbourhood. The beach, the big mosque, and Rick's of Humphrey Bogart fame $2 taxi rides away. 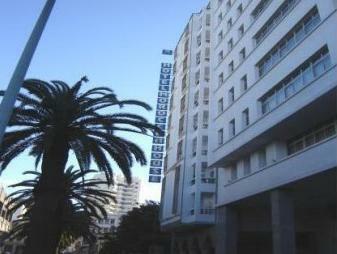 Good location, but little to see in Casablanca compared to the other large Moroccan cites. Breakfast was good. Not pricey place considering the location. Near good restaurants. Will stay here if you will be out of the hotel most of the time. Hotel was near Casa Port train station. Staff was nice and helpful. 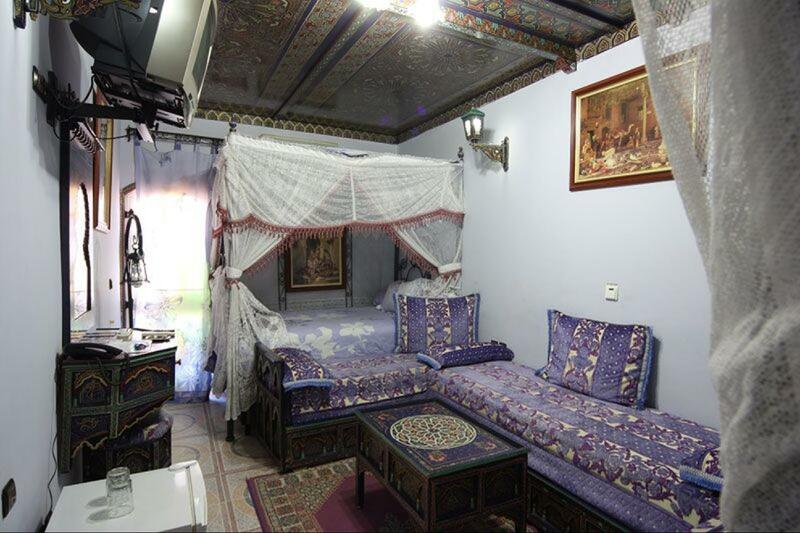 But above all, venue was decorated in a traditional riad style. The breakfast, the staff, the location. Our stay in Moroccan House started with a wimper as after 27 hours of travelling we arrived at 10am and no room ready. We had to walk around and get the feel of the neighbourhood until after noon. Then we slept! 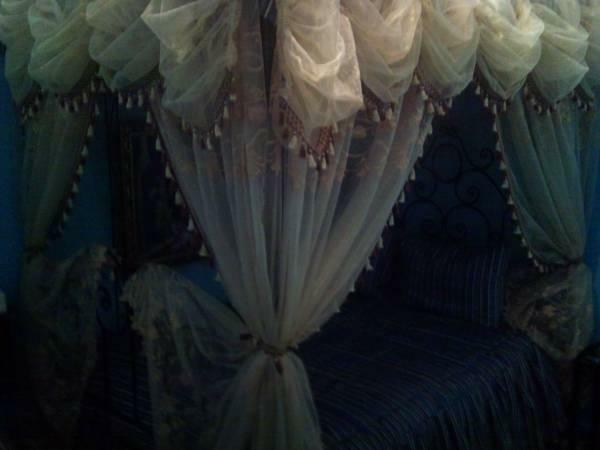 The room was colourful, the hotel was done out exquisitely in Moroccan flavour, the staff were helpful. Breakfast was a huge variety and could not be faulted. Had dinner one night and the order was bungled, but that was the only glitch. Staff, location, ambience. Great breakfast included with price. Good experience out side the room. We were welcomed with a cup of mint tea and some cookies. A great welcome... The rooms were very romantic, and even though the hotel is on a busy street, once inside you forget the world around you. Location is not really central, and parking is a challenge. But again, go inside, and you forget your worries. it was good not sure I'd stay there again though. Great hotel, walking distance to all the major sites. The rooms, tea rooms and lobby have a great feel and great decorations. The rooms are well designed although the massive number of colors can cause some headaches. We spent 2 nights here at the beginning of a week trip to Morocco. The triple room was very pretty and we were greeted with mint tea while checking in. It was an easy walk to nice restaurants and the Hassan II Mosque and a short distance to the train station. The only negative was the amount of hoking you could hear from the street as it is at a very busy intersection. 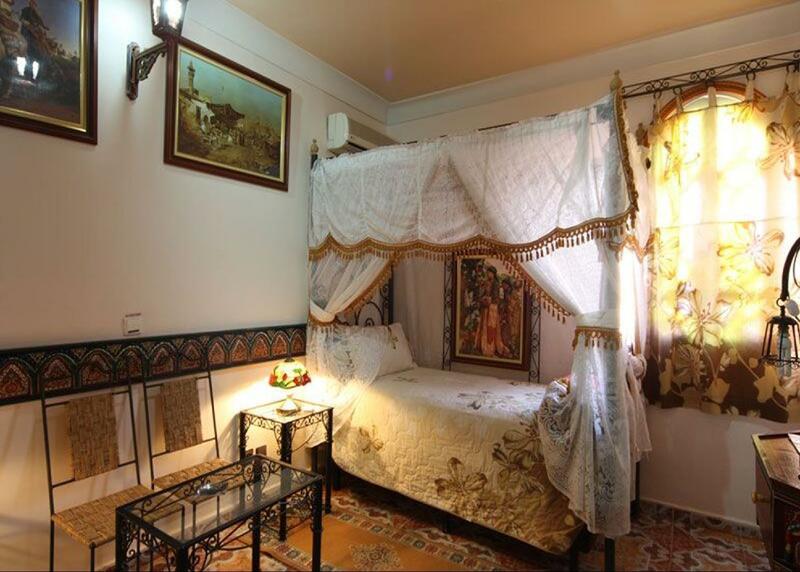 The hotel is of authentic Moroccan style with all its interiors representing the culture and tradition of the Morocco. I liked this hotel and the sleeping was very comfortable with quite a good bathroom amenities. The hotel has a simple restaurant - with limited choice of foods. The breakfast was great and I liked the service of the persons serving/preparing breakfast. When I booked the rate was on discount and kind of okay to pay....but when I tried next time to book it again, I found it was double (over 120 USD), which is certainly not worthy to pay, knowing the location and choices etc. A nice cosy place to stay before a prebooked group trip. A bit hard to find.